Every year, Australians use and dispose of 6 billion plastic bags, 1 billion take-away coffee cups, 768 million plastic straws and 600 million litres of bottled water. This is unsustainable. Recent surveys have found that 70% of the endangered small loggerhead turtles (whose preferred diet is jellyfish) passing through Moreton Bay have ingested plastic. It has also been found that up to 90% of seabirds have plastic in their guts. Australian Government scientists predict that by 2050, this figure will have increased to 99%. In this short film by marine conservationist Nicole McLachlan, Green Heroes talk about plastic pollution and why it's important to avoid, reduce, reuse and recycle. Organise a marine trash treasure hunt and start the conversation about the effects of plastic pollution on marine life. 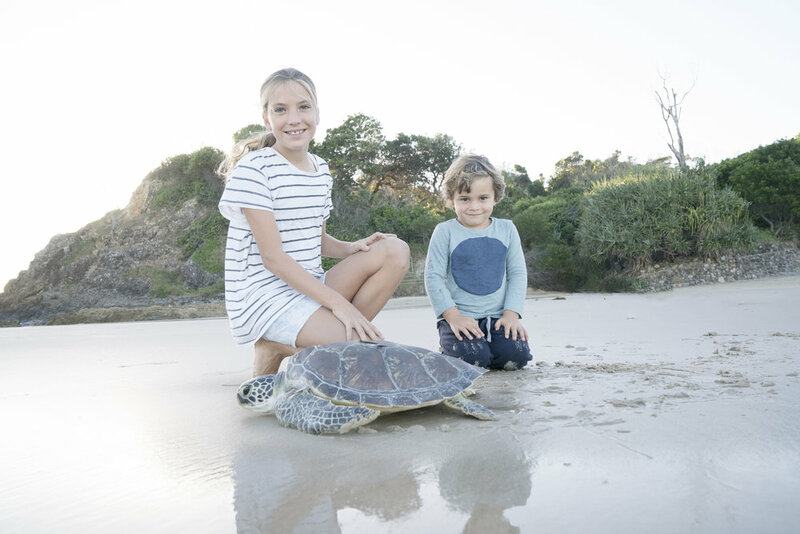 Everything you need to know about sea turtles and how you can support our partner organisation, Ballina Byron Sea Turtle Hospital. Litter-free lunch programs educate families about the problem of single-use plastic and show how they can help save the oceans.